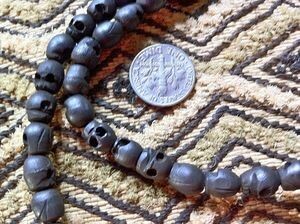 These 108 bead mala wood skull beads are handcarved. 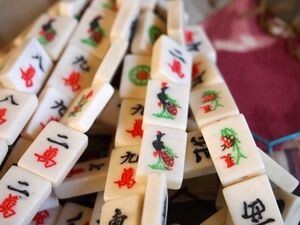 All are black wood and are sold by the strand. 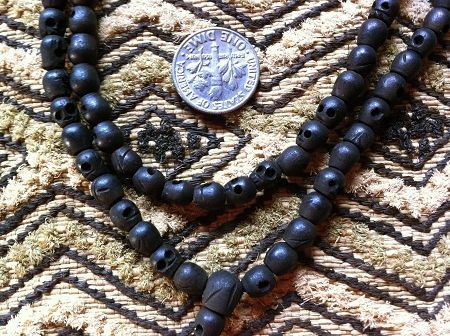 The smallest of our mala skull beads, this one is tiny, measuring 5-6mm from top to bottom and about 5mm wide. The holes are drilled top to bottom. 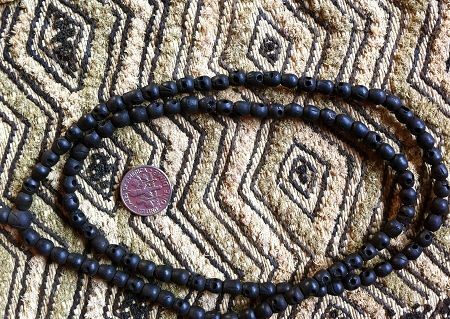 Each strand of tiny skull beads has 108 beads and is strung in the mala style on a silky cord. 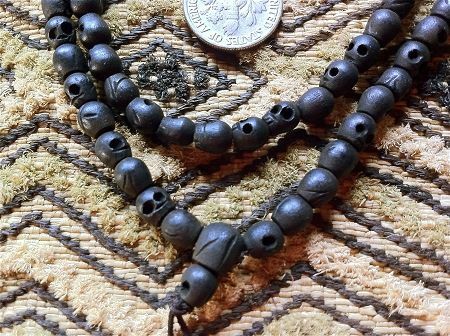 PLEASE NOTE: Black wood skull beads have been dyed but are not sealed. Please take care to avoid contact with water unless the beads are first sealed with an appropriate fixative, lacquer, oil or wax.